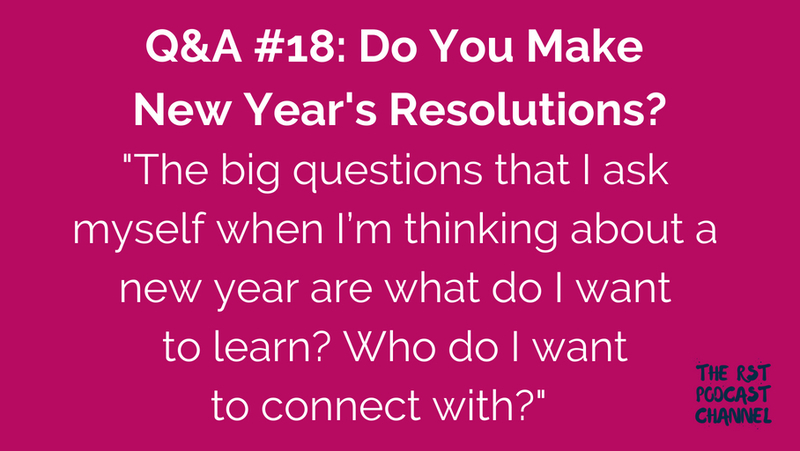 Q&A #18: Do You Make New Year’s Resolutions? Please offer your feedback about the show or ideas for future episodes and topics by connecting with me on Twitter @Katie__Linder or by emailing me. Life Work Q&A is part of the Radical Self-trust podcast channel, a collection of content dedicated to helping you seek self-knowledge, nurture your superpowers, playfully experiment, live your core values with intention, practice loving kindness toward yourself and others, and settle into your life’s purpose. If you listen to the podcast on iTunes, please take a moment to rate and/or review the show.